BLANCO QUATRUS Apron Front sinks - contemporary, family friendly designs feature softer, rounded apron corners and easy to clean 15 mm radius inside corners. This collection is designed to satisfy a broad range of lifestyles and kitchen design needs. With over 90 years experience in kitchen technology, design and manufacturing, BLANCO offers the ultimate in stainless steel quality and craftsmanship. Made from premium quality 304 series, 18/10 chrome-nickel Stainless Steel and precision-engineered in Germany to exacting standards of quality and design, BLANCO Stainless Steel sinks are made to last a lifetime. 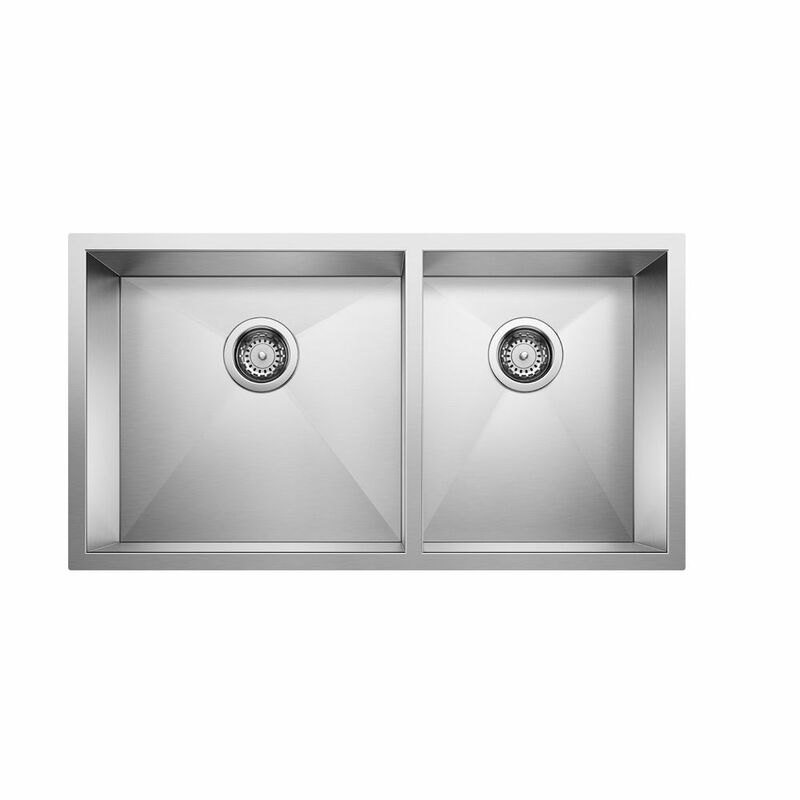 Quatrus U 1 3/4, Stainless Steel Sink, 1.75 Bowls, Undermount Designed in Germany to Blanco's exacting standards of performance and quality. The BLANCO QUATRUS family offers traditional quality as well as many signature BLANCO features at an exceptional price.